1 piece/carton. 3 or 4 or 5 cartons per pallet. 20GP can load 72 pcs(55")/60 pcs(65")/40 pcs(75")/20 pcs(86"). 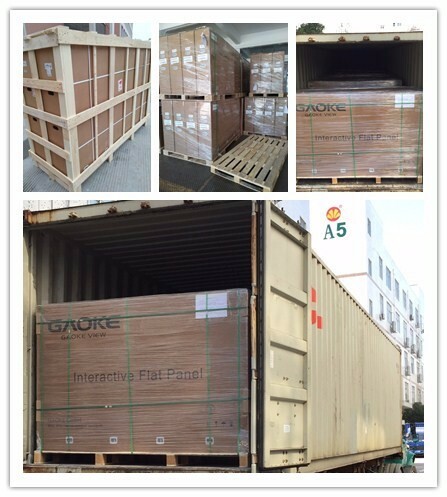 40GP can load 144 pcs(55")/126 pcs(65")/88 pcs(75")/44 pcs(86"). 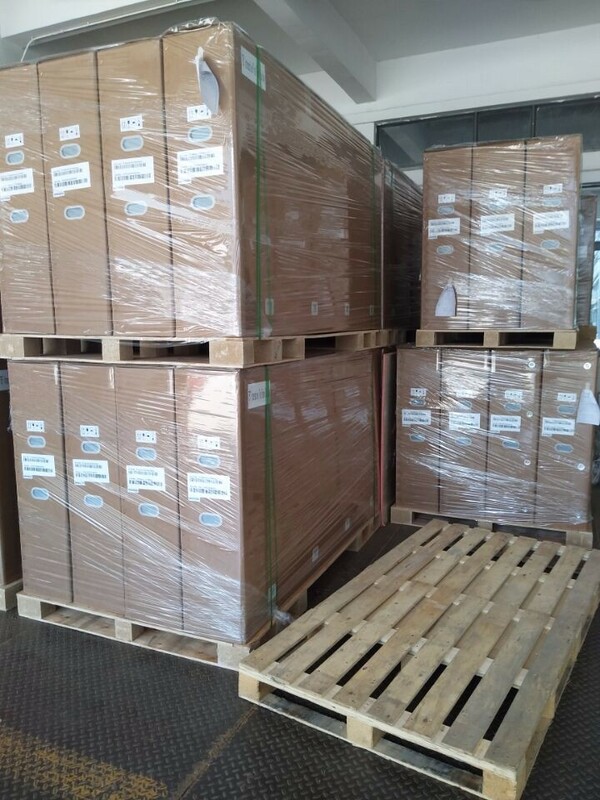 40HQ can load 144 pcs(55")/126 pcs(65")/88 pcs(75")/44 pcs(86"). 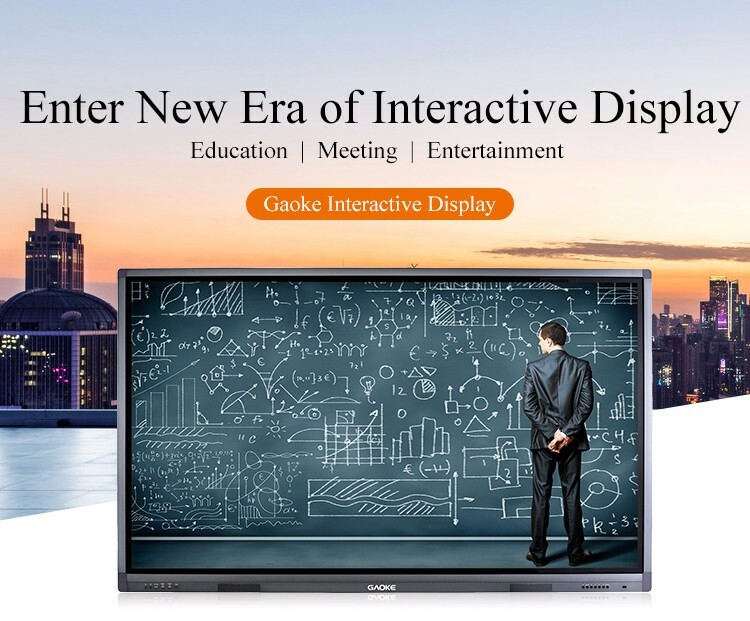 Gaoke LCD Interactive Touch Screen Smart Board TV incorporate a host of clever features, such as 10 person multi touch and have been designed for a variety of uses, from boardrooms, classrooms, lecture theatres, foyers and consultation rooms LCD Interactive Touch Screen Smart Board TV. 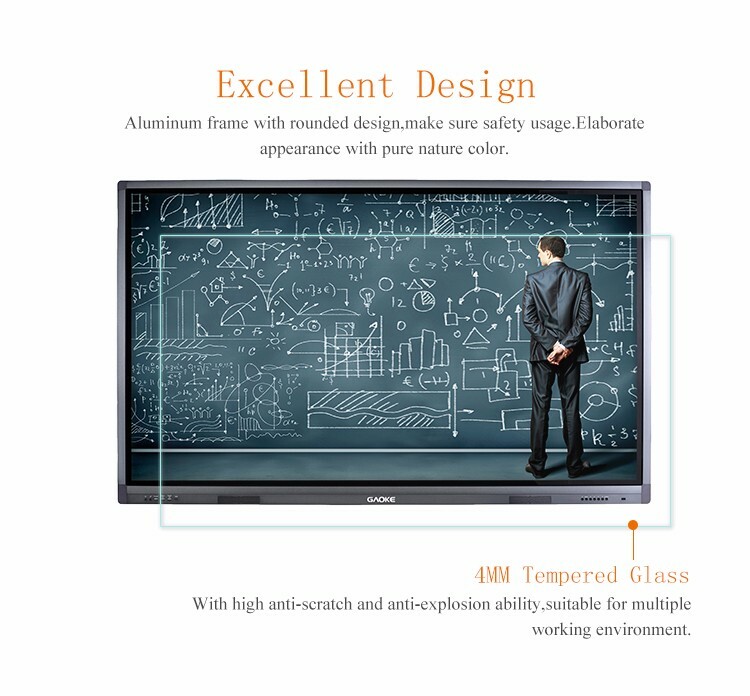 The bright LED screen, wide viewing angle and powerful built in speakers bring presentations to life, and the clean contemporary white bezel frame blends perfectly into most environments LCD Interactive Touch Screen Smart Board TV. 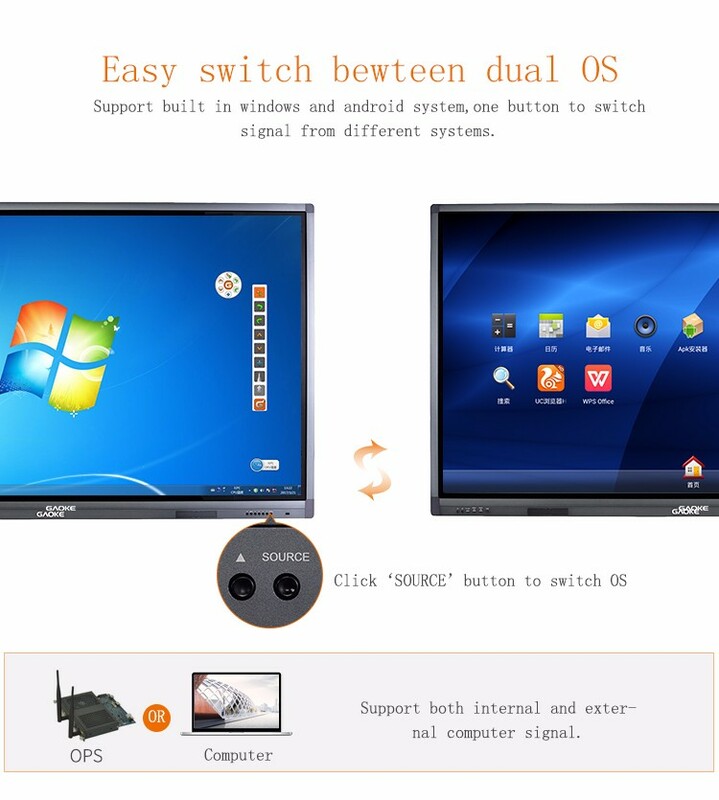 With Windows 8.1/10 capability you can forget time-consuming set-ups and the option of a built in PC means you do not need an external source at all. 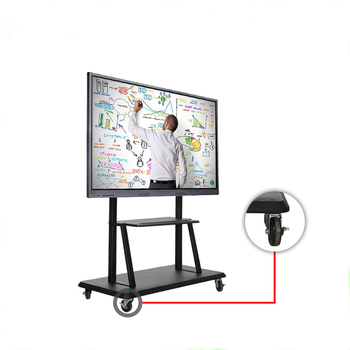 All you need to do is walk in, turn it on and experience LCD Interactive Touch Screen Smart Board TV. 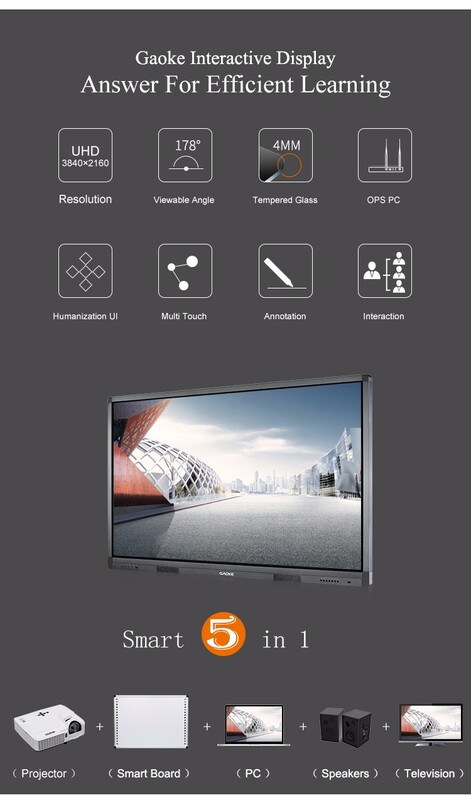 Q:Are you the factory or the trading company of LCD Interactive Touch Screen Smart Board TV. 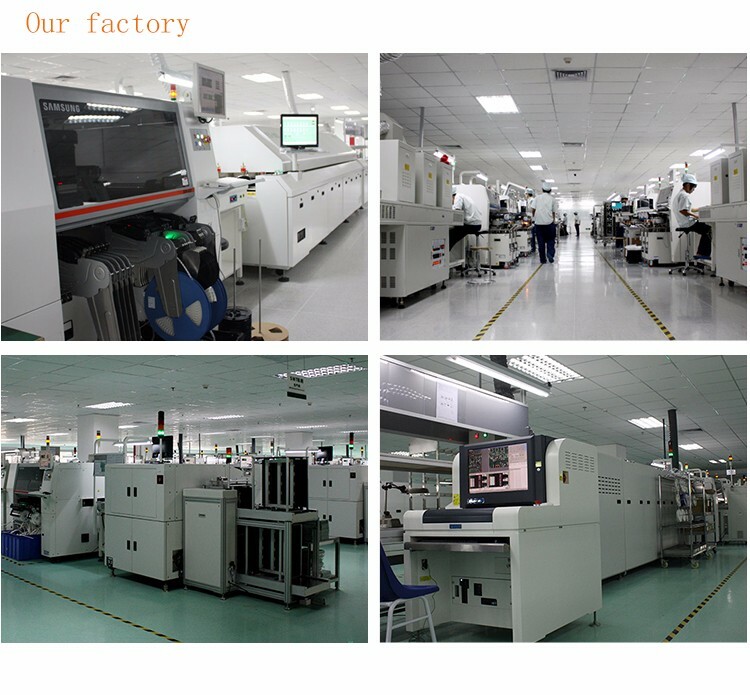 A:we are the factory in Hangzhou city,Zhejiang province,we can OEM/ODM for you. 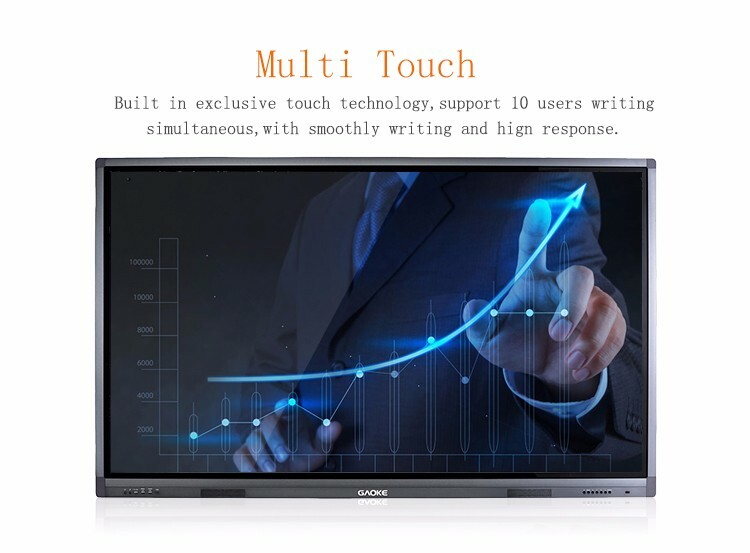 Q: How long is the warranty time for your company to produce LCD Interactive Touch Screen Smart Board TV? 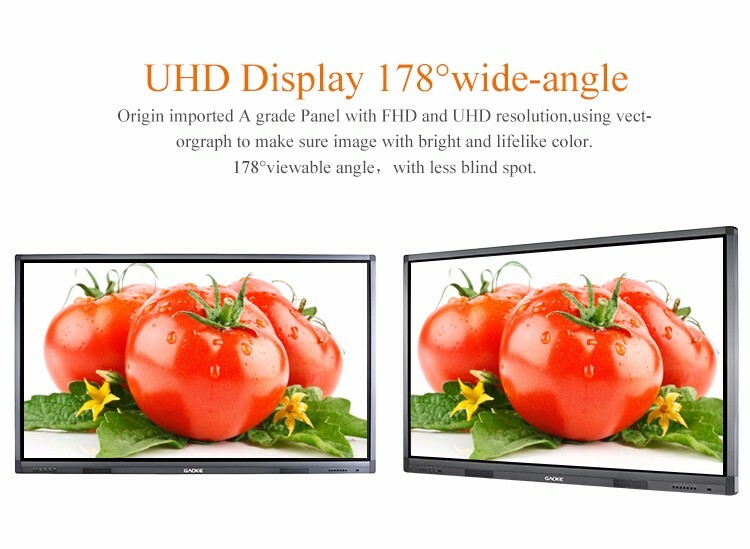 A:We offer 1 year warranty after the delivery. Q:What payment method your company accept? A:We accept most of the payment methods,but mainly by TT,other payment term is negotiable. 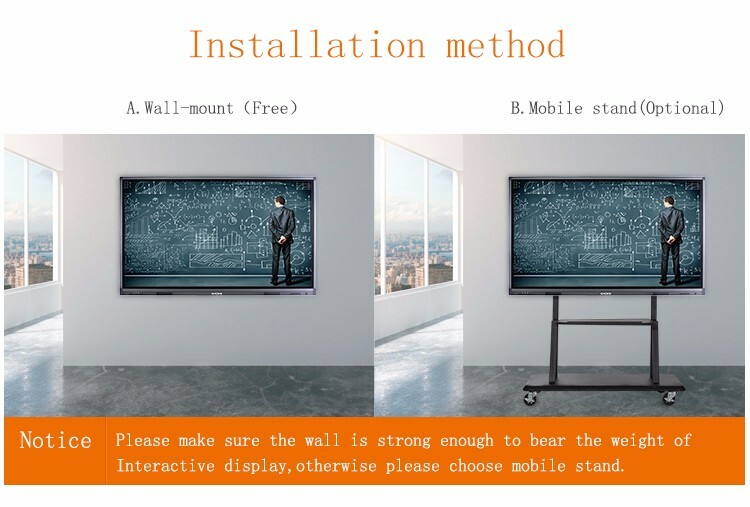 Q:Can I customize product as my request of LCD Interactive Touch Screen Smart Board TV? A:Absolutely yes,we can customized as your requirement. 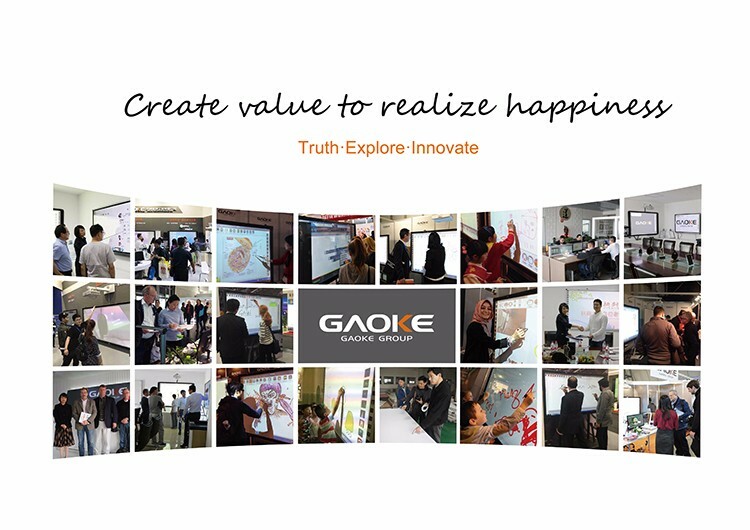 Q:What will you do if the products were being natural damaged within the warranty time and how about out that time? A:Well,we will give some simple question to you or get the picture from your side to help us confirm the damaged parts,Once confirmed,the free replacement will be sent for you.If over the warranty time,we will ask for a very low factory price for the replacement part. 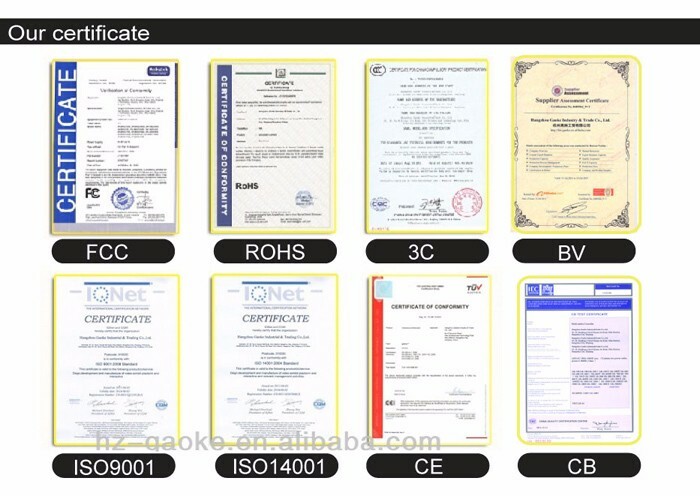 The supplier is ranked number 4 by responses data in Educational Supplies. 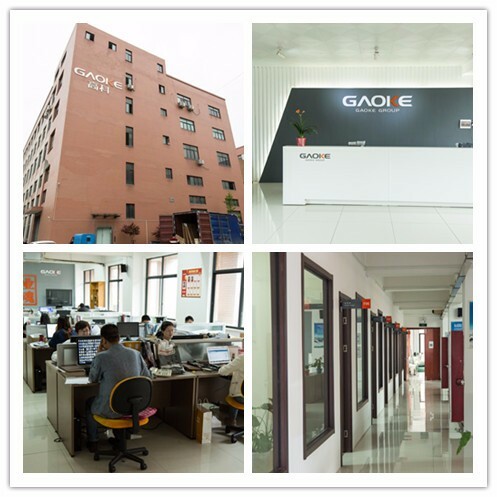 The supplier is ranked number 3 by delivery data in Educational Supplies.